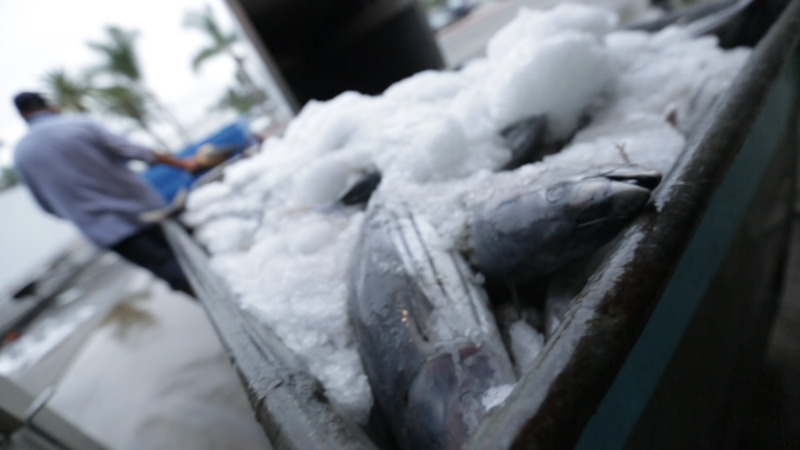 Something stinks in the packaged seafood industry. A senior executive at Bumble Bee Foods has agreed to plead guilty for his role in a conspiracy with other seafood packaging companies to fix the price of canned tuna, the Justice Department announced Wednesday. Walter Scott Cameron, the senior vice president of sales, worked with co-conspirators to fix the prices of packaged seafood from 2011 to about 2013, according to court documents. Documents refer only to "Company A," and said the firm was an unindicted co-conspirator. But Bumble Bee confirmed Cameron is their employee. He has been placed on paid leave. His plea with the court requires him to pay an undisclosed fine and cooperate with future investigations. representatives of other major packaged-seafood-producing firms." It said the co-conspirators, who were not identified, agreed "to fix, raise, and maintain the prices of packaged seafood sold in the United States." Bumble Bee's General Counsel Jill Irvin said in a statement that the company is cooperating with the investigation. "Scott has also cooperated with the company and with the Department of Justice in the investigation," Irvin said. "All consumers deserve competitive prices for these important kitchen staples, and companies and executives who cheat those consumers will be held criminally accountable," said Renata Hesse, who oversees the Justice Department's antitrust division. Bumble Bee said it hopes to resolve the issue with federal officials early next year.